Knights of Sidonia Season 3: The next installment of the popular anime series is going to release soon. It’s in work and fans are waiting eagerly for it. 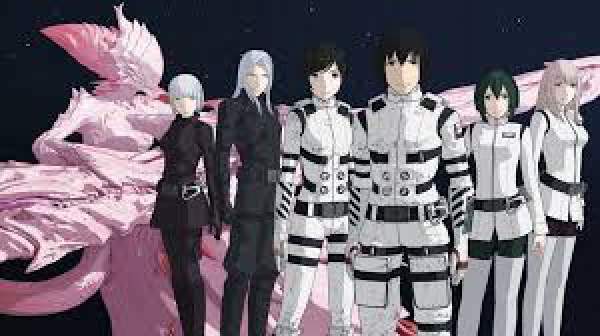 KoS is an anime adaptation of hit Japanese manga titled Sidonia no Kishi. The first season premiered on April 10, 2014, in Japan with 12 episodes. It got highly popular among the anime viewers. It got its second installment within a year and was titled Knights of Sidonia: Battle for Planet Nine. The S2 had a total of 12 episodes and aired the first episode on April 10, 2015. With such a history of back to back seasons, fans were hoping to see the third season soon, probably in 2016, but that didn’t happen. In 2014, when Netflix bought its rights, it became the first ever anime on Netflix. This anime series attracted a lot of eyeballs across the globe and it got huge appreciation. The second season was released on Netflix on July 3, 2015, for English audience. On being asked about the new installment, Netflix officials said that they don’t have any information regarding it. It is set in the far future (year 3394) from now when the earth has already been destroyed a thousand year ago by gigantic aliens called Gauna. Sidonia is the name of a spaceship with around 500,000 humans in numbers. They are probably the last of the species. Monstrous shapeshifting aliens often attack the ship. A large pilot controlled Exo suits called Gardes protect the ship. The children on the ship are trained to face any emergency and casualty. Also to grow the human population, the people of Sidonia have developed technologies like asexual reproduction, human genetic engineering, etc. A boy named Nagate Tanikaze is the central character. He had been living with his grandpa in the spaceship since his childhood. He trained himself to become a true guardian using old training simulators. After his grandfather’s death, he was forced to come out and becomes one of the Guardians pilots to protect Sidonia from Gauna. When manga creator Tsutomu Nihei and director Hiroyuki Seshita were asked about the upcoming installment and its possibilities, they said that they are also waiting for the same. Director has asked for some more time for it to take place. As of now, both of them are busy with their anime movie Blame. It will release this year on the same streaming site. In June 2017, during Annecy International Animated Film Festival and Market (MIFA), the fans claimed that the director has announced the sequel to the series and the movie Blame! It has got a huge probability as the delay has happened only because of the anime film. The upcoming season 3 of Knights of Sidonia will probably be out in 2019. After the first two seasons’ release, the manga has already added two new volumes (14 and 15) into the manga. It means that the anime creators have got enough content for it. Stay tuned to TheReporterTimes for more anime news.